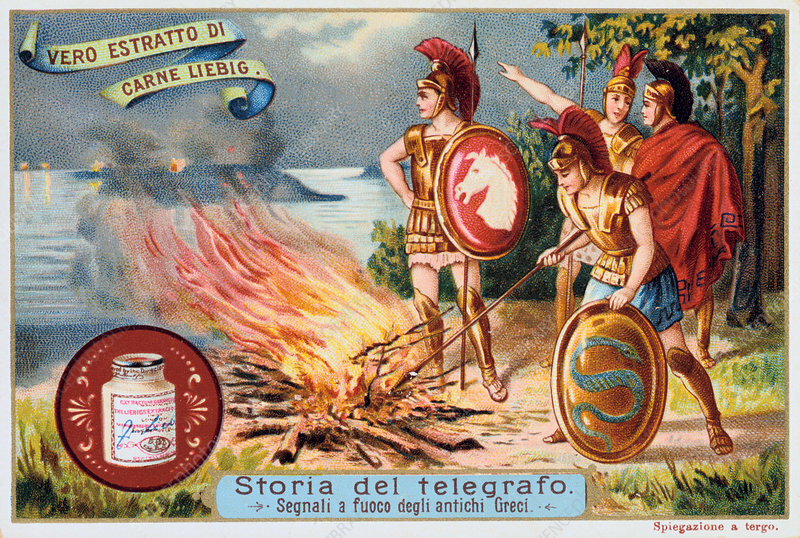 Aerial Telegraph: Ancient Greek soldiers tending a signal fire, c1900. It is claimed that news could be transmitted 525 km in a night. Trade card for Liebig Meat Extract.